We are overwhelmed with Energy Star appliances with their circuit boards rather than replaceable parts. Our household devices cost more than ever before; that is an excellent rationale for regular cleaning and maintenance. Like other household chores, it pays to have a checklist. Here is one that should prove helpful. Obviously spring is the best time of year to maintain your AC. This consists of a cleaning and tune-up. You will have to call a licensed HVAC technician for things such as adding or recovering refrigerant. However, there are certainly many air conditioner money saving tips that include cleaning that you can take on yourself. Some of these tasks include inspecting and replacing flex ducts, cleaning, troubleshooting, and fixing your thermostat. 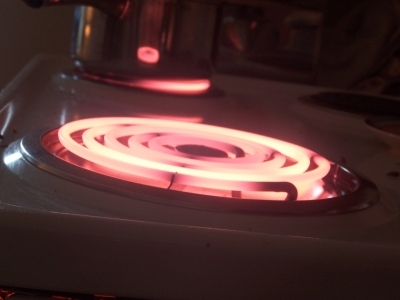 Modern ranges tend to be rather complicated due to all the convoluted electronics, but believe it or not, troubleshooting your electric range is indeed possible using a few basic tools and knowledge (see the link at the bottom of this article). A thorough and frequent cleaning is also extremely important. Why? Because a build-up of grease is flammable. This tends to be more of an issue with open-element models rather than flat-top model ranges. In most cases, de-greasing is easy using 2 fluid ounces of orange oil mixed with a quart of warm water. Orange oil is usually available at gardening nurseries that carry organic gardening supplies. Gas units are simpler from a technical point of view than electrical models, although a thorough cleaning and an inspection of all the gas fittings are essential. Chances are that you building code will not permit you to change gas fittings (that usually calls for a plumber that has been gas certified), but you can certainly use a portable gas detector to check for leaks. Clothes dryers are also available as electric and gas models. The principal concern with both with respect to safety is lint accumulation. Your removable lint filter needs to be cleaned after drying each load (or before the next one, same thing). An important thing to look at is your hot air venting tube. Be sure it is clear with no obstructions. 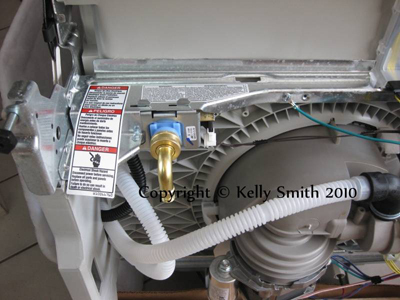 If youre replacing a damaged venting tube, use a metal one. Why? Metal is a better choice than plastic because of less static electricity build-up. Remember that lint is a very flammable material and can easily ignite and cause a household fire. Modern refrigerators are problem-free for the most part, however the coils in back of and/or underneath it should be vacuumed out periodically. Your goal here is proper air circulation. Next, inspect and clean your door seals. They can be cleaned using liquid dish soap and warm water. Dry them off and wipe them down with 2 tablespoons to 1 quart of water. This will sanitize them. Handy tip:Your freezer will be far more energy-efficient when its relatively full, even if only with milk jugs filled with frozen water. Modern dishwashers have come a long way as far as efficiency and noise control are concerned over the past few years. Obviously, keeping the water inside is important so be sure to clean and inspect those door seals as you did with your fridge. Shopping for a new one? Removing your old dishwasher and installing a new one is a doable job for the handy homeowner but it can be time-consuming. Again, follow the link at the end of this article. Check that you dont have any standing water in the bottom of the unit. Often this is caused by the hose linking to the garbage disposal drooping down. The first things to look at are your water supply hoses. Be sure that they are not cracked or brittle. Replace them if they are not in good shape. Next clean the washer tub. This is easily done by running a full load with no clothes. Simply use hot water, and add 2 cups of vinegar and 2 fluid ounces of orange oil. These are a few ideas to clean and maintain your appliances to help them stay running smoothly and efficiently. If you happen to have any tips of your own, please share them with others in the comment box below.